Better late than never. I spend a while thinking this over and had a very difficult time about it. I think of myself as a storyteller, but this challenge isn’t to adapt a story, by just moving the plot to the video game medium, but to create the type of game that could have inspired an already written story. The subtle difference being that the theme and meaning have to be at the forefront of the work rather than an after thought from people like us. I couldn’t think of anything and haven’t read much in the way of books lately on my own. 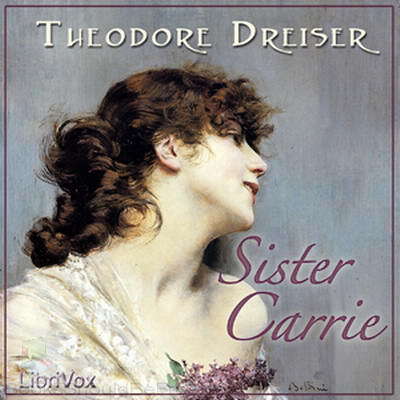 Then I though over what I read for my various classes and something seemed to click when I thought of Theodore Dreiser’s 1900 Sister Carrie. My mind connected the book to a certain concept used in the games Indigo Prophecy and Evergrace. There you can change characters during the narrative. With Indigo Prophecy it is only at certain section of the game and with Evergrace it is really two narratives that you can switch between. Taking this basic concept and combining it with Theodore Dreiser’s masterwork is the basis for my idea. The game will be a basic open world game taking place first in a mock Chicago then New York. It would be in the style of a thrid persion action game, but with focus on world interaction rather than violence. The player will perform missions for rewards and to press the story forward, which in told through the linearity of the missions, but through how the rewards of the self contained missions effect the characters’ status in the game world. Following the basic story we follow the titular Sister Carrie and Mr. Hurstwood. The former is a girl from rural Wisconsin who just moved to the big city of Chicago trying to find her American dream and the later is a man of a respectable status and manager of a resort, but ultimately is dissatisfied with his lot. A major desire for everyone in the book is social standing and climbing of the ladder. Hurstwood’s wife is an avid social climber and is displaying her daughter out in high society to rise even higher. Hurstwood himself has reached a point where he no longer cares to climb as he feels he has made it, but still feels as if he is missing something. Carrie on the other hand is at the bottom of the pile; she pays rent to live with relatives and is having a very difficult time in finding work, mainly because she does not to appear as low as she is. In this beginning portion of the game you would control Carrie and only Carrie through an introductory portion of the game where you learn about the world and how to work your way through it. You will follow her as she struggles to try and make a meager living and perform excursion (rather than call them missions) to find work, try and keep a job, deal with the Hanson’s, Carrie’s elder sister and husband, general disapproval and meet with Mr. Drouet, a traveling salesman she met on the train to Chicago. After some time you will be introduced to Mr. Hurstwood by Mr. Drouet and so the real game gets underway. Once they have met and Mr. Drouet goes on a sales trip, the game will allow you to shift between the two characters. For most of the time the two characters wont be in contact with each other and will go about their normal day. They will go on excursions on his or her own under the player’s control. At this point Mr. Drouet is paying for an apartment for Carrie and Hurstwood is meeting her there. And this is where the mechanic comes in. The goal of the excursions is to raise their image in other character’s estimations or societies estimations. That or keep them high. However, the characters like those in the book are flawed. Time does not stop for one of the characters during the time that the player is with the other. While the player is raising the social standing of one of the characters the other is dropping. The player will not be informed of this and for a while it will not be obvious. Hurstwood’s wife will increasingly get more annoyed with him the less time the player spends with her and Carrie may fall to the stinging power of the neighbor’s gossip should the player not be there is quell such problems. To even things and move them forward to the final stage of the game there will be less excursions with Hurstwood as his character becomes increasingly apathetic to his station, while Carrie will have more excursions as she works to improve her station in life. Eventually the two will be equals in social standing. When that happens Hurstwood will finally break down as he did in the game and embezzle from the Fitzgerald and Moy resort. Then he will run off with Carrie to New York, be hunted down by a private eye to take back the money he took, minus severance pay. Once in New York, Carrie and Hurstwood are equals in social standing. The player can flip back and forth between them at will. The player will perform excursions, Carrie in talking with people keeping them in the societal eye, while Hurstwood tries to run a business to keep a steady income. Eventually the business will go bust if Hurstwood’s social ranking is neglected. Carrie will begin to become and old maid if she is neglected. The changes in social ranking are in stratification. Earning or losing a few points with either character wont matter in the greater scheme of things, but with enough changing the character will enter a different stratification which will affect what excursions they can do. Also, while moving down a social stratification can happen with enough neglecting of a character, rising up will take money or esteem with those that have it. As much as the player will switch back and forth between the characters, eventually he or she will have to make a choice of who to back. Should they back Carrie and follow her to becoming a successful actress, while maybe looking at the falling decrepit Mr. Hurstwood like in the book they will be treated to this ending. Mr. Hurstwood will die alone and in the cheapest room available off of begging money, he will have fallen to the lowest point. Carrie on the other hand will have rising as high as one can in society. The toast of Broadway, living in a luxury sweet at a fancy hotel only to find her unsatisfied with fame and money. Carrie will meet Bob Ames who will philosophize about life that there is a higher stratification, but that it cannot be reached with money or the other trapping that her American dream has been based upon until this point. The player will feel the same for there is no end screen, but the game will continue. They can go out on the same excursions over and over, play the mini games and talk to the same NPCs only to hear the same dialogue over and over. The game can go on, but there is no longer any point. While Hurstwood has reached the lowest point, death, Carrie has reached the highest only to find only longing. Should the player choose to follow Hurstwood, they will see him oppress Carrie’s social climbing as he pulls himself together and creates a bigger business for himself. He will continue the cycle of social climbing that he once despised so that he can get back to the way of living he had become accustomed to. Carrie, meanwhile, will be the housewife and eventually be left behind as Hurstwood realizes that she will no longer help him regained what he lost. Carrie will be displaced and have none of the support she had in Chicago of her sister, who did disapprove of her fleeting ways did not want ill fortune to befall her. Nor can she co back to her rural home now much too far away. She will fall even further until she has fallen as far as she can into death or a house of ill repute for the rest of her days. Hurstwood will have learned nothing and end up right back where he started. Dissatisfied with his lot, yet leaching off the system of status to which he despises. 2 Responses to "January’s ’09 Round Table Entry – Sister Carrie"